Every new ocean instrument goes through growing pains. But the Submersible Incubation Device, nicknamed SID, has been a particularly long time coming. It started more than 30 years ago as a gleam in the eyes of microbiologist Craig Taylor and engineer Ken Doherty at Woods Hole Oceanographic Institution. Like many oceanographers, they wanted a way to see exactly what the multitudes of microbes in the ocean are doing out there. Taylor wanted to measure a key aspect of ocean ecosystems: how fast single-celled photosynthetic organisms at the heart of the food web convert carbon dioxide into organic carbon. At the time, the standard shipboard method to do that required deploying sample bottles in the wee hours, retrieving them to the sea surface by dawn, incubating the phytoplankton all day under conditions that allowed them to proceed normally with photosynthesis, and then, for hours after dark, preparing the samples for analysis. The conventional method had other drawbacks as well. Scientists could do only a few incubations during a cruise. 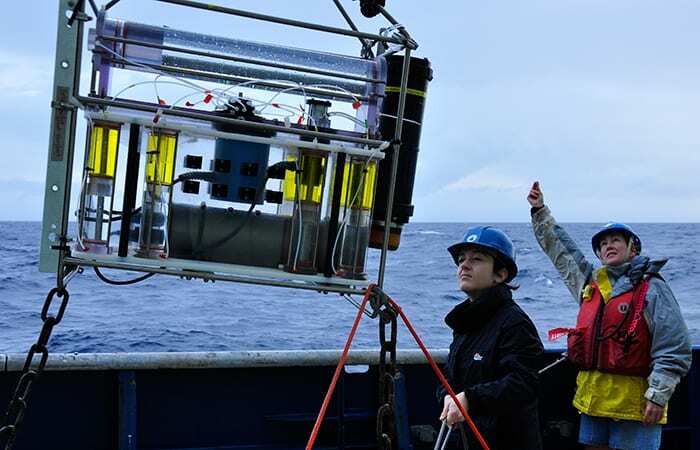 They caught random snapshots of phytoplankton activity and could miss significant ecological events that occur in an ever-changing ocean. Perhaps even more important, bringing phytoplankton to the surface—away from the pressure, temperature, light, and other conditions of their habitats—probably alters their functioning. An instrument that could automatically run incubations in situ—in the place where microbes exist naturally—would solve these problems. Taylor is what you might call a ‘build-it-yourselfer.’ Growing up in rural Oregon, he tinkered with farm machinery and, when he had the chance, with cars. “I was at the trailing edge of the hot-rod builders and had the welding facilities and everything on the farm to be able to do it,” he said. When he got to college, Taylor found that he could make lab equipment for a fraction of the cost of buying it ready-made. But saving money wasn’t part of the motivation when he and Doherty started thinking about a SID, because no such device was available commercially, at any price. If they wanted an in situ ocean incubator, they would have to make it themselves—not an easy task, as it turned out. “It was kind of an idea before its time,” said Taylor. “The technology wasn’t there to make it easily workable.” Neither was funding. Still, Taylor and Doherty began working on design ideas. Their robotic mini-lab would have to take in samples of precise volumes at specified depths, incubate them, stop the incubations at specified times, and preserve the samples for later retrieval. A key thing to figure out early on was how to stop the incubation. In a lab, that’s done by running the samples through a filter. Phytoplankton cells trapped on the filter get exposed to an airborne preservative, stopping their chemical reactions. That won’t work in a SID. Adding a preservative to the filtered cells would do the trick, but doing so under water was complicated. It required synchronizing the filtering with injections of preservative. “You have to have a lot of electromechanical hardware to be able to do that,” said Taylor. All those moving parts would have to work reliably and automatically at depth. 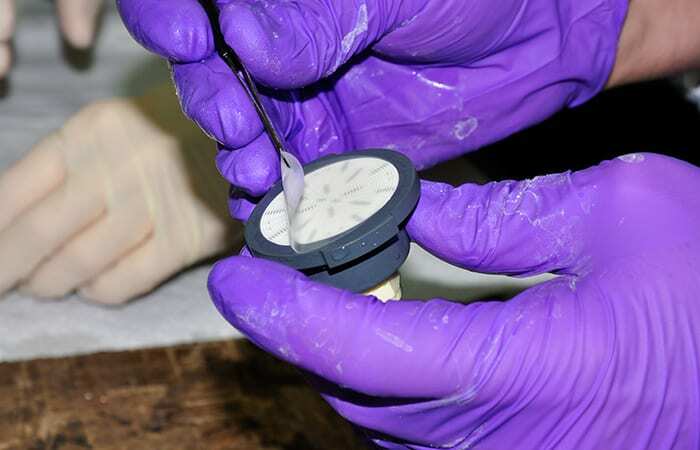 After a few rounds of trial and error, Taylor and Doherty came up with the “Fixation Filter.” It takes advantage of the fact that the preservative for these experiments is less dense than seawater, so it tends to rise through seawater if given the chance. While the sample cells are being filtered, the Fixation Filter holds the preservative in a closed reservoir below the filter, except for 2 small holes. When filtering stops, the preservative flows up through one hole as denser seawater in the filter chamber moves down through the other. Within 15 minutes, the cells on the filter are immersed in preservative. Best of all, it works with no moving parts. In the late 1990s and early 2000s, Taylor deployed early versions of SID in experiments near Bermuda and Japan. SID didn’t look impressive or sturdy; it was just an array of clear cylinders and noodly tubing. But it successfully sampled and incubated phytoplankton in situ every few days for a year—something that had never been done before. SID, it seemed, had arrived. Once a new instrument starts having success, word gets around. Scientists think of new ways to use or modify it to suit new situations. Taylor already had a SID that could go deeper than the photic zone (650 feet) to study metabolic processes of bacteria there. “Deep-SID” didn’t filter the samples, but mixed preservative into the collected seawater. WHOI microbial ecologist Virginia Edgcomb approached him about using it to collect protists from anoxic, or oxygen-free, waters about 1,000 yards deep off the coast of Venezuela. Protists are more fragile than bacteria and less likely to survive being brought to the surface. Deep-SID enabled her and her colleagues to catalog an array of unusual species that had been impossible to recover intact using conventional methods. With that success, Taylor and Edgcomb were able to get funding from the National Science Foundation to design and build the most ambitious SID yet. Besides going even deeper, Edgcomb wanted the new device to incubate, filter, and preserve protists so she could examine them microscopically and extract their RNA. Those procedures require preservatives that are denser than water, which meant the original Fixation Filters couldn’t be used. 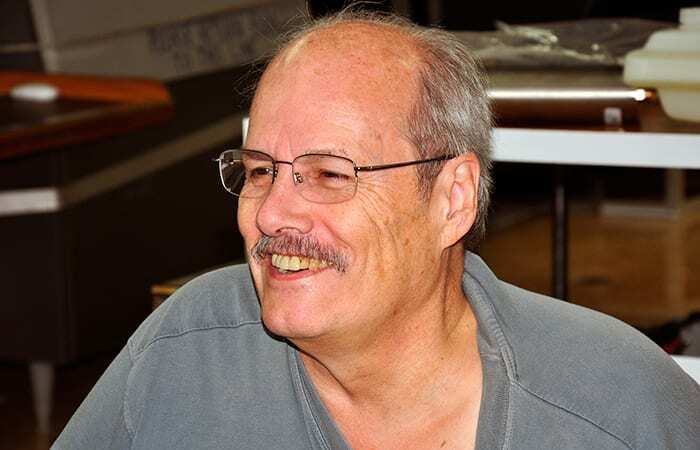 Taylor and Doherty began collaborating with engineers from McLane Research Laboratories, which had become interested in the potential for marketing the instrument. 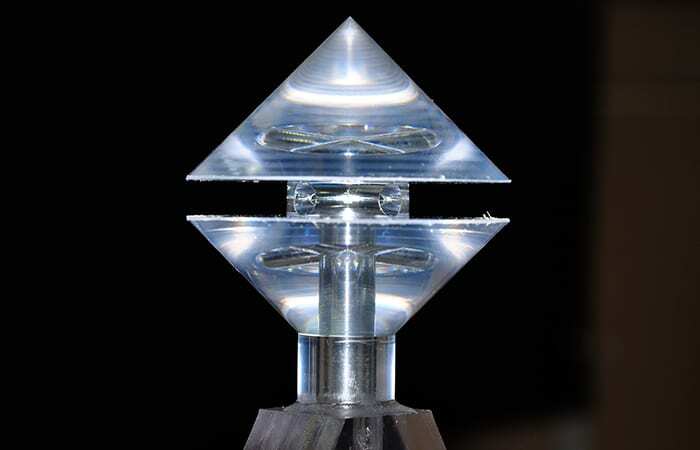 Together they devised Fixation Filter II, which stores the preservative above the filter chamber and uses an ingenious system of channels and floating parts to keep it away from the filter until needed. The new Filtration Filters deliver preservative even faster than the originals, “fixing” the cells within 30 seconds of their landing on the filter. McLane also provided a “smart valve” that guarantees that each sample taken is directed to the proper Fixation Filter. The Microbial Sampler-SID, or MS-SID, can process volumes five times larger than the first SIDs, to improve the odds of detecting sparse organisms and their subtle chemical reactions. It can sample a six-foot-thick zone more than two miles below the sea surface, and it can send data and receive instructions via a device invented by WHOI engineer Marshall Swartz that provides real-time communication between SID and ship. That allows scientists to adjust their sampling protocol during the mission, based on what the sensors tell them is down there. 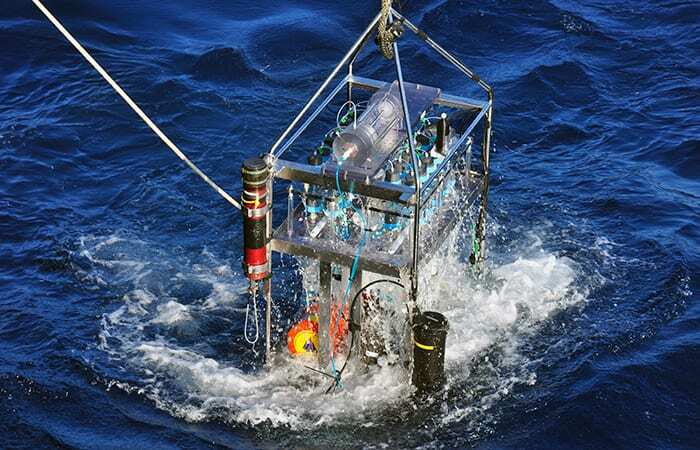 One of the challenges of developing a new instrument for deep-sea work is that the only way to thoroughly test it is to put it in the ocean and hope it works and, if it doesn’t, try to figure out what went wrong and why. MS-SID first went to work on a 2011 cruise to investigate hypersaline basins at the bottom of the Mediterranean Sea. It performed well, but the high pressure at that depth took a heavy toll. The Fixation Filters lost too much preservative. A sampling pump, pushed to the max to move large volumes of water at high flow rates, “just croaked,” recalled Edgcomb. The saga of SID doesn’t end there. Taylor, WHOI microbiologist Stefan Sievert and engineers Fred Thwaites, Edward Hobart, and Steven Liberatore are collaborating with McLane Research Labs to develop a “Vent-SID,” which will collect and incubate microbes in the warm (up to 160o F) fluids at seafloor hydrothermal vents. 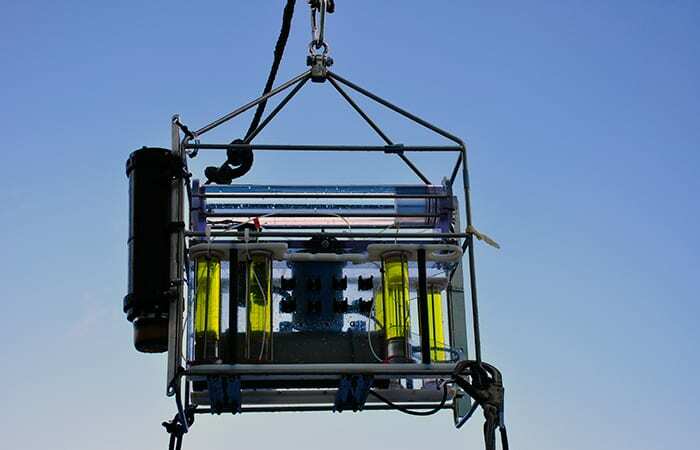 The device will provide among the first in situ rates of chemosynthesis and other metabolic activities in vent fluids. Development of SID instruments was partially supported by the Department of Energy and the National Science Foundation.